I just got joy bombed, or at least that is what I call it after listening to Joy Dawson speak on the subject of following Jesus and the glory of God. Dawson is an internationally known speaker and evangelist. But the real important thing is that she listens to the Holy Spirit and seeks to promote Jesus as the model for how we should live. Dawson said, “We don’t know Jesus yet. We don’t understand what we are asking when we ask to see God’s glory.” This hit me like a ton of bricks. The apostle John spent years walking and living with Jesus during His earthly ministry. But when he received a revelation of the glory of Christ while exiled on the island of Patmos, he fell down as dead before the One he had known so well. This was Jesus in holiness and in fire. This was God in just part of His glory, and John was undone. Have I ever experienced God like this? The answer is no. Few of us have. The apostle John received a great revelation that day. We still study it today in the book of Revelation – the unveiling of the glory of God. John received this great revelation while on a prison island – a dark place meant to isolate John could not keep him from what God wanted to reveal. This gives me hope. Dawson said, “We can go through anything if we focus on Jesus, but it is a choice.” That is so true. The apostle John could have let his circumstances cloud out his heart for Christ. But that didn’t happen, because he chose to seek God even in the midst of darkness and isolation. Do you really want to have a deep, loving relationship with God? It is possible. But it does come at a great price. 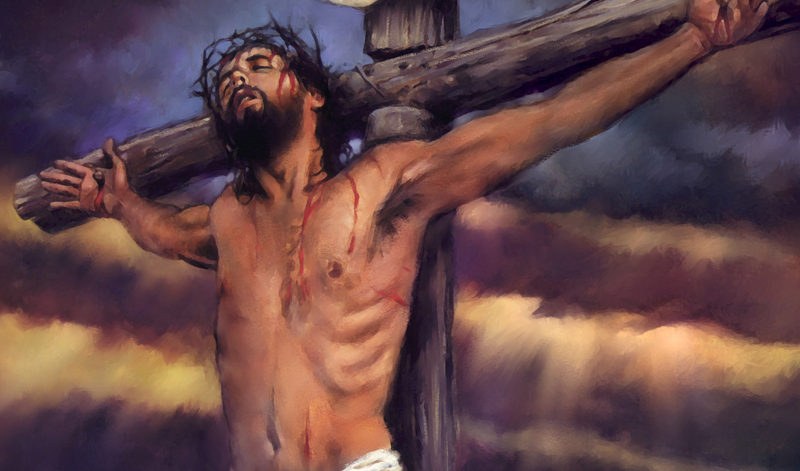 Jesus paid that price on the cross. And we have to pay a price to follow Him, but it is worth the cost. Dawson said that Jesus came down to the earth for five basic reasons. These were to 1.) Show us what the Father is like, 2.) Die on a cross to atone for the sins of the world, 3.) Defeat satan and demonic powers, 4.) Show us how to live, and 5.) To be our life. The message of Jesus was simple. He put little children in front of the disciples as an example of the kind of faith they should have. Dawson added that Jesus called His followers to repent from sin, believe in Jesus and to obey Him, and to go do and tell what was commanded. It really is quite simple as long as you stay close to God and listen for the guidance of the Holy Spirit. Jesus preached the Gospel. Why don’t we? Jesus fed the poor? Why don’t we? Jesus comforted the broken hearted. Why don’t we? Jesus healed the sick. Why don’t we? Jesus challenged dead religion. Why don’t we? Jesus spoke in power and under the prompting of the Holy Spirit. Why don’t we? Sure, some Christians do some of these things. But many of us don’t follow Christ’s example as much as we should in our daily lives. The apostle John clearly stated that those who know Christ should live as He did and obey His commands. Jesus gave a commission to His followers to spread His message and make disciples. Jesus has called us to preach to the lost and pray for the sick. Jesus declared that those who come after Him would do greater things than He did because He was leaving the work of the Church to us. While we will never be God nor ransom the world from sin and death, we do have the awesome privilege of caring the influence of Christ around the globe. So do you really know Jesus? One true encounter with Him changes everything. Anyway, I love what Caesar said about the power of story when it comes to sharing the Gospel. Too many times we treat the Gospel as a bunch of facts or religious creeds that need to be memorized and then spouted off on cue. Sure, the Gospel contains information and doctrine. But it is much more than that. Caesar made the point that if you present a bunch of facts about the plight of orphans around the world it is not as easy to remember as telling a story about a particular orphan and then wrapping some general statistics up in the narrative of the story. The point is that we better remember key principles through stories and pictures than we do through lots of mere facts or creeds. When you get right down to it, the Gospel is a story. While it contains truth and is the path to life, it is also a story. It is not a fictional story. And it does pertain to our lives today even though it began long ago. The Gospel is a story that has been going on for thousands of years and continues to be written today. It is the story of God and His relationship with mankind. And we are part of that story. Too often people think of the life of Jesus as something separate from their everyday existence. But Scripture is clear that Jesus lives through His followers today. The story of Jesus was propelled into significance for us when He died and rose again. Yet, it didn’t stop there. It continues today as we carry on the work, life and Spirit that He gave us. And that my friends is a game changer. When you realize that you are part of a cosmic story that has echoed through ages passed to our world… right now. That is amazing. Telling a story is not hard, especially when it is our story. We just have to find the courage to open our hearts and speak what we know is true. Others may reject it. But that’s not the point. The most important thing is to be true to what we believe and have experienced. And I believe the story of Jesus is the most liberating, awe inspiring thing I have ever heard. And the Good News is that I get to share it. I wonder if I have at times become “so familiar” with the Bible and especially the Christian Gospel that I lose sight of its epic, boundless quality. Can you have heard so many sermons that you begin to think there isn’t much new to be learned about God? Or does this reveal a faulty mindset that has lost its way? If God is beyond description, why do we look at His Word as something less than supernatural, epic, and majestic? The Bible (God’s book) is beyond whatever else we might read on a daily basis. I was thinking about this tonight after Pastor Tim Matthews spoke on the parable of the sower and the seed from Matthew 13. He challenged the youth group to dare to study the Scriptures, soak in it and live it. Beyond looking for good principles to apply, Pastor Tim encouraged us to seek to be transformed. He challenged us to be good ground that would produce fruit in God’s Kingdom. The Bible is not a self-help book. I admit that on many occasions I have taken the “I already knew that” attitude toward something found in Scripture. But the strange thing is I may not have been living by the light of that knowledge. Many times I needed to hear something again that I already supposedly knew. So I feel led to revisit the basic Christian message, commonly known as the Gospel. What is it really? Is the Gospel just ten basic beliefs about God and His relationship with mankind? Is the Gospel merely about statements of faith? Or is it something more — an ethic, a call to become like Christ? Is the Gospel something that ever changes? Or is it something that only changes us? Is the Gospel fully realized now or a forward looking hope for a better world? Is the Gospel even really about mankind? Or is its core preoccupation mainly God and His glory revealed to humanity? These questions have led me to develop what I am calling the Gospel Challenge. I am encouraging anybody who has a relationship with God through Jesus to take 30 days to wrestle with what the Gospel is based on Scripture and your own reflection as you pray and listen for the guidance of the Holy Spirit. May you look to see how the Gospel is lived out in your world. Specifically, I am encouraging other Christians who know me to take up this challenge. It starts with reading the Bible daily while looking to see what your reading reveals about the basic Christian message. You should ask questions like, “What does this story show us about God? or How does this passage depict God’s Kingdom? Fourth, wrestle some more with the concepts that arise as you study, pray about the Christian message and discuss the Gospel with others. The last part of the challenge is to come up with a basic Gospel statement or creed and attempt to live according to these beliefs on daily basis. So who is with me? What does the Gospel really mean to you? I welcome others to post on my blog their thoughts on what the Christian Gospel is and how it functions in the world. The power of God for salvation (Romans 1:16), God judging the secrets of men by Jesus Christ (Romans 2:16), veiled to those who are perishing (2 Corinthians 4:3), light that shows the glory of Christ who is the image of God (2 Corinthians 4:4), not another gospel (2 Corinthians 11:4), is not man’s gospel (Galatians 1:11), to be proclaimed among the Gentiles (Galatians 2:2), justification by faith (Galatians 3:8), the word of truth and a sealing of believers with the Holy Spirit (Ephesians 1:13), standing firm in one spirit with one mind (Philippians 1:27), the hope laid up for you in heaven (Colossians 1:5), proclaimed in all creation under heaven (Colossians 1:23), come in power and in the Holy Spirit with full conviction (1 Thessalonians 1:5), preached with boldness in the midst of much conflict (1 Thessalonians 2:2), sharing ourselves to others not just words (1 Thessalonians 2:8), the infliction of vengeance on those who do not know or obey God (2 Thessalonians 1:8), the appearing of our Savior Christ Jesus who abolished death and brought life and immortality to light (2 Timothy 1:10), Jesus Christ risen from the dead (2 Timothy 2:8), preached to those who are dead (1 Peter 4:6), is to be obeyed (1 Peter 4:17), proclaimed to every nation and tribe and language and people (Revelation 14:6). How long till your voice speaks clearly? How long till your arms envelope me? The above is a song of yearning. It captures the heart cry of a sinner who is coming to grips with the reality of his or her brokenness. It reminds us that we have to look to a power beyond ourselves. I had the pleasure of attending a worship service tonight where the Glorious Unseen played this song. It really seemed to capture the depth of my sense of isolation from God. At times, I feel so far away even though I know that God is closer than I can ever imagine. At times, it feels like I have to beg God for love and mercy when He has already given me everything I need in Christ. This was swift kick in the gut. I started to realize that I struggle to believe the basics of the Christian Gospel. Although I know it to be true, I seem to forget the impractical reality of God’s grace in my live. It seems too good to be true. And it is. That is what makes the Gospel the greatest reality in human history. That is why it is the source of all hope. I am reminded of the lyrics from this other Glorious Unseen song. Mountains are gigantic. They seem to transcend time and remind us of the power pent up under the surface. We feel so small compared to these behemoths. But that is nothing compared to the majesty and might of God. Scripture tells us that God measures the universe within the span of His hand. That’s one big hand. Pastor Tim from the Hanger spoke at The Mix last night. He delivered the essence of the Gospel in a very raw and in-your-face fashion. It was awesome. He said one of the big problems is that we don’t understand how incredible the cross really is. We think that a mountain scene shows us the power of God when the most incredible thing that God has ever done is send Jesus to die on the cross. While God speaking all things into existence is amazing, it is far less stunning than Christ’s sacrifice on the cross. It is the cross that has restored a broken relationship and redeemed creation. It is the cross that reveals the depth of God’s love. When people asked for a sign, Jesus said that no sign will be given them except his death and resurrection. The cross is the pinnacle of human history. It is mas grande! No mountain. No ocean. No prehistoric dinosaur bone should seem more significant. It is the empty tomb where we find everlasting life. Are you awestruck by Jesus? I know that I sometimes let the Gospel lose its impact. I become deceived by material things and fail to keep the cross in its proper perspective. There is nothing bigger than a God who gave it all to save me and you.